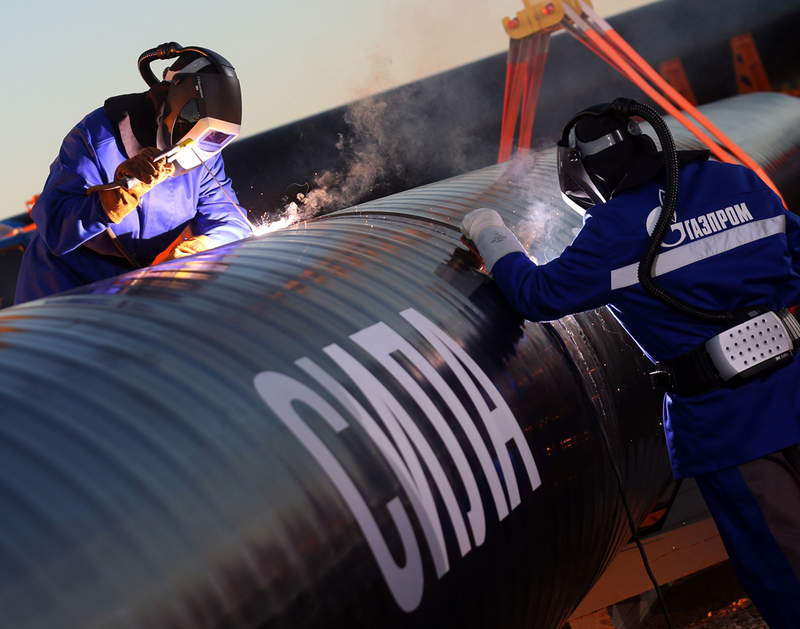 Why is Russia’s biggest gas pipeline being built on an uncompetitive basis? Construction of a part of the Power of Siberia pipeline. Contracts for laying the Power of Siberia pipeline from Russia to China are being dished out mainly without tenders and are often handed to close friends of Russian President Vladimir Putin. However, Russian analysts deny that anything is amiss and insist this is related to Gazprom being afraid of not finishing them on time for its Chinese partner. In June 2016 construction will begin on the Chinese part of the Power of Siberia gas pipeline from Russia to China, according to a statement made by Chinese CNPC Chairman Wang Yilin in an interview with the Rossiya-24 TV channel. Gazprom has already laid 115 kilometers (71 miles) of the $70-billion, 4,000-km pipeline, which is the Russian gas giant’s largest project, and in 2016 plans to build another 400 km. However, the rapid pace of construction is seeing the company handing out million-dollar contracts without official competitions, as in the case of the enormous contract for laying the 400 kilometers of pipeline awarded in May 2016. The contract for constructing this section of the route was given to Stroitransgaz, owned by Gennady Timchenko, who is considered a close friend of Russian President Vladimir Putin, reports Interfax. Among the other contractors is Arkady Rotenberg, who is the Russian president's old judo partner. According to Forbes magazine, the entrepreneur's companies received contracts worth 555.5 billion rubles ($8.4 billion), including those for the construction of the Power of Siberia. The Power of Siberia gas pipeline will transport gas from Eastern Siberia and Yakutia to Russia's Far East, where it will be exported to China – up to 38 billion cubic meters annually. By law all Russian state companies must place orders on a competitive basis, but sometimes the law permits an order to be placed with an exclusive contractor. The law provides 46 exceptions according to which it is not necessary to conduct a competition for selecting a contractor. That is how Gazprom works. In March 2015 Gennady Timchenko's Stroitransgaz had already received the first contract to build 208 kilometers of the Power of Siberia pipeline. The value of the contract has not been disclosed. Subsequently, in December 2015, Arkady Rotenberg's Stroigazmontazh received a contract from Gazprom worth 200 billion rubles ($3 billion). At the time Anatoly Titov, general director of Gazprom Transgaz Tomsk (a Gazprom subsidiary), explained that the contracts had been handed out without a competition since the gas giant was afraid of not finishing them on time. "Legislation allows companies to choose contractors for such projects without holding competitions," says Dmitry Baranov, a leading expert at investment company Finam. In his words, the most important thing is experience, the possession of necessary technology and equipment, as well as qualified specialists. In 2015 Gazprom had tried to organize a tender for laying 800 km (500 miles) of pipeline, but the tender was canceled by the Federal Antimonopoly Service. "Consequently, the Power of Siberia's main participants have become Timchenko's Stroitransgaz and Rotenberg's Stroigazmontazh," said Artyom Zvyagilsky, a leading analyst at MFX Broker. Gazprom is by far not the only state-owned company that hands out contracts without tenders. "The picture of purchases made by state companies in Russia is quite sad," added Zvyagilsky. According to a study conducted by the Russian Ministry of Economic Development, in 2015 more than 95 percent of state company purchases were uncompetitive and 40.4 percent were made with a single supplier and without a competition. "The suppliers' disinterest in purchases is demonstrated by the decrease of the average number of bids from 1.3 in 2014 to 1.2 in 2015," the ministry explains. Would Franceu2019s rejection of American LNG open the door for Gazprom? And the amounts are gigantic. In total, in 2015 state companies placed orders for 23.1 trillion rubles ($350 billion), which is more than 30 percent of Russia's GDP. However, handing out a contract without a tender is not necessarily a malicious act, according to Dmitry Baranov. "It is important that the construction of such an object as the Power of Siberia pipeline is carried out in agreement, since a lot depends on the work of one company – the operation of other zones and the entire pipeline in general," he said. In his words, large companies have the necessary competence and there is nothing unusual in Gazprom selecting them.